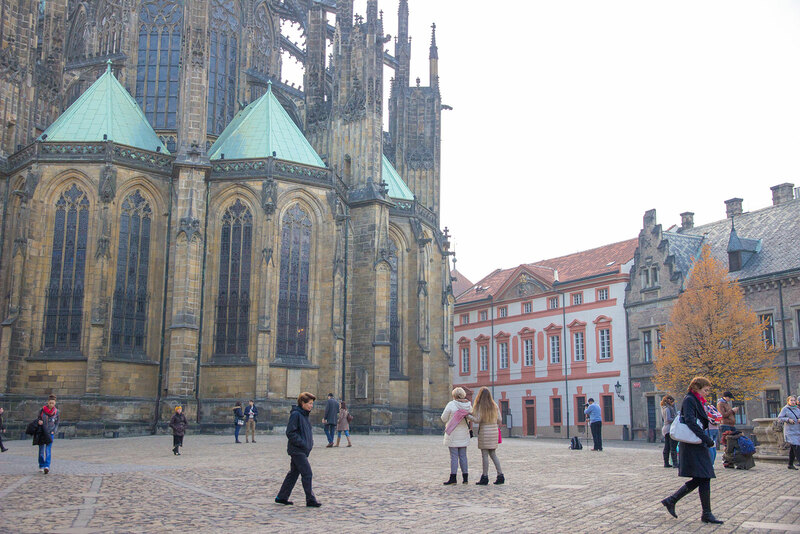 A mini break to the colourful toy town of Czech Republic. 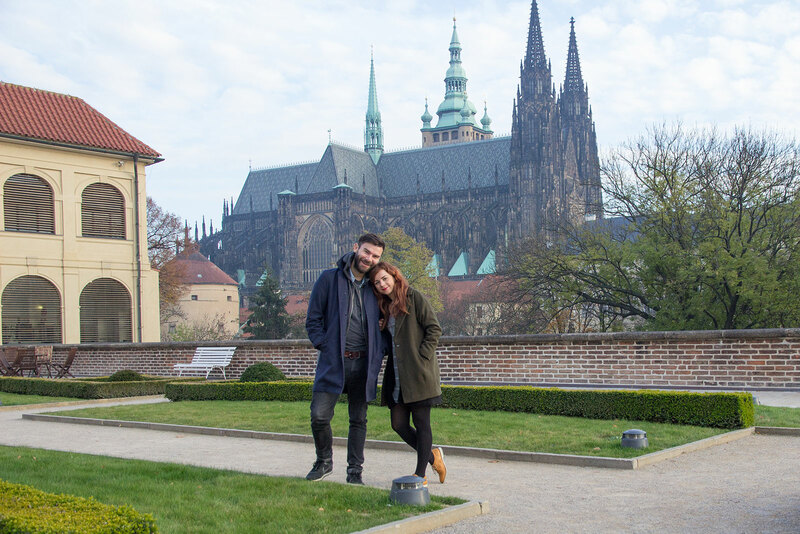 Prague (or Praha to the Czechs) has been popping up everywhere lately, quite a few friends have been visiting and despite it never being right up there on my European city hit list I’d heard it was really pretty so I booked a surprise 3 night break for Gav (my other half)’s birthday! I love surprises and I love travelling so somehow I’d managed to keep the trip secret for 6 weeks. 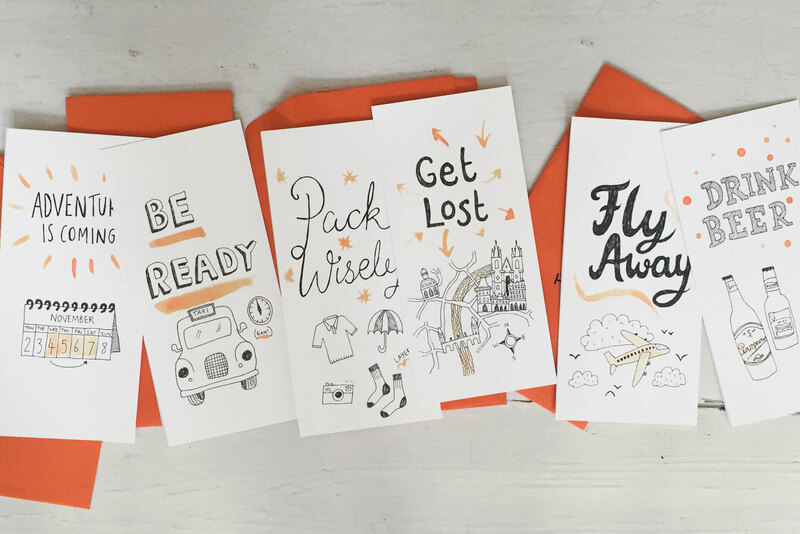 I illustrated some vague hints and left one out for Gav daily, with the clue we were flying somewhere only when we got to Kings Cross train station to board for Gatwick. He he! 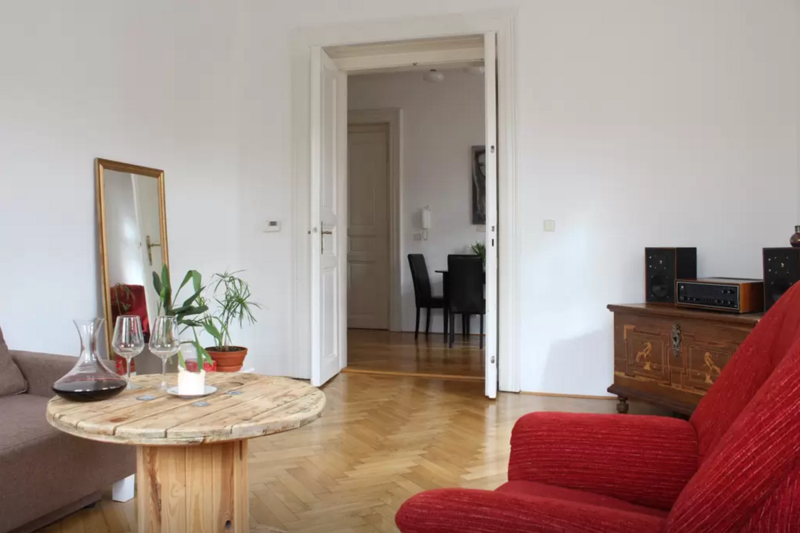 A big lover of Airbnb, I booked an apartment on the 3rd floor of a 19th century building. 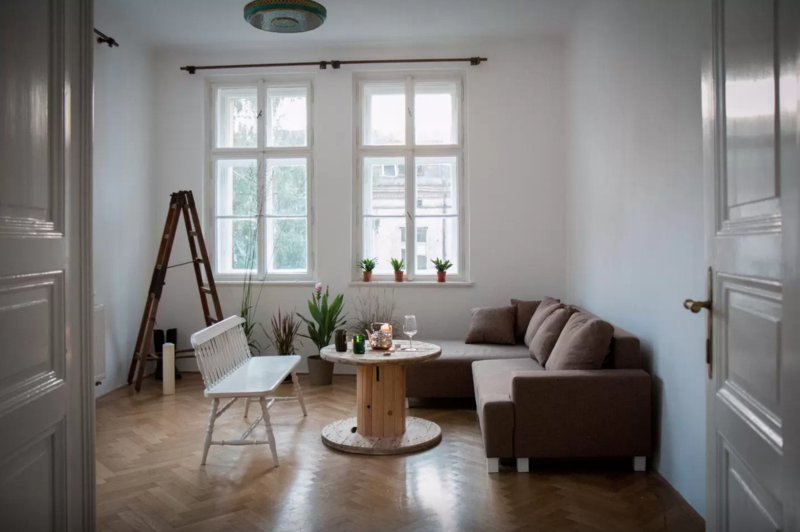 Cosy, quiet and full of light — all the windows opened up to a tree filled courtyard, it was beautiful. 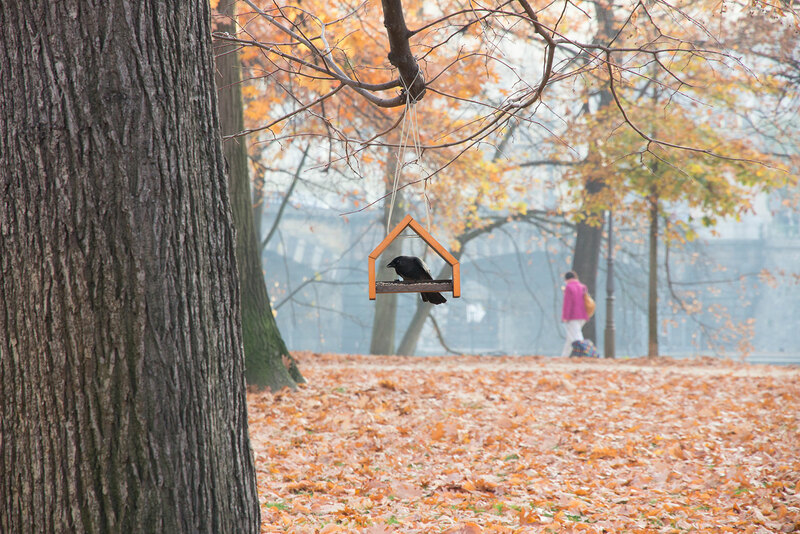 I think I always imagined myself living in a city apartment like this! Location wise, we were in Prague 1 (the centre) — just a 20 minute walk of most the sights making it easy for us to cover everything on foot. The four main elements of Prague 1 being the Old Town (Staré Město), New Town (Nové Město), Lesser Town/Little Quarter (Malá Strana) and Prague Castle area. 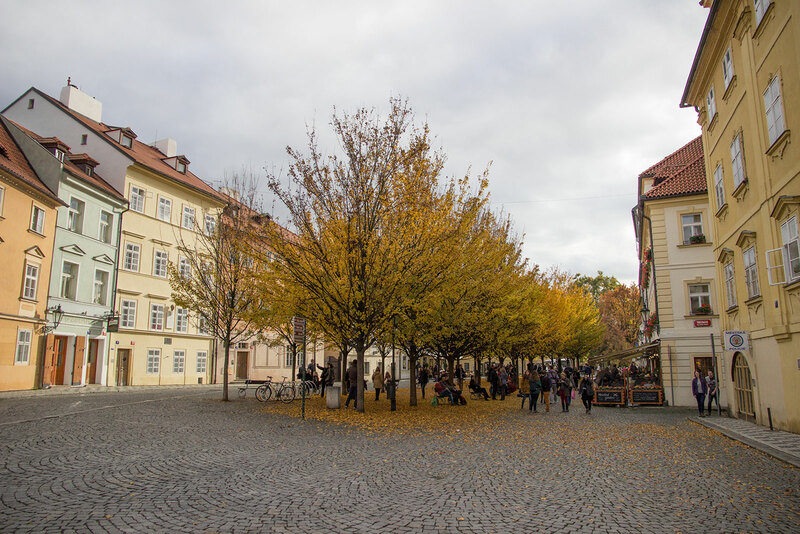 Our first point of call was the Old Town Square in Staré Město, one of the historical sights you see on postcards with it’s colourful architecture and medieval charm. It was lovely and we felt like we’d stepped into a Shrek scene with it’s toy town colourful buildings and bright blue skies. 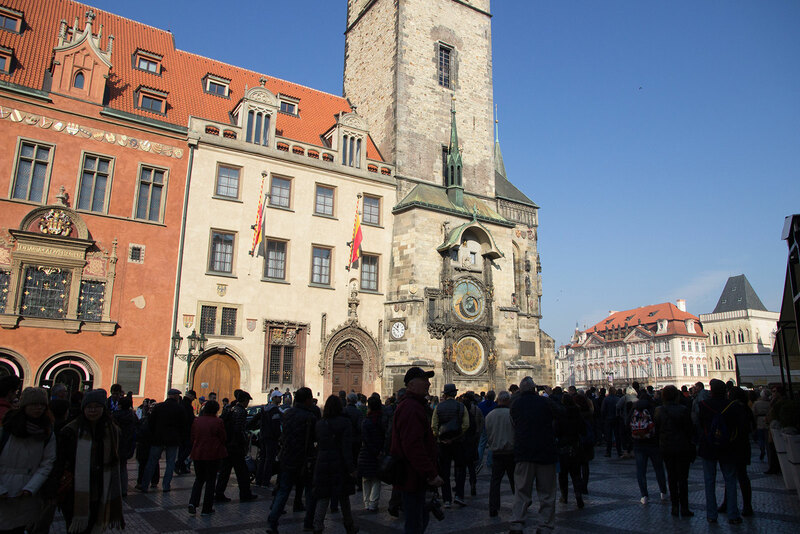 Dating back to 12th century there’s a wonderful array of Baroque, Renaissance and Gothic facades. 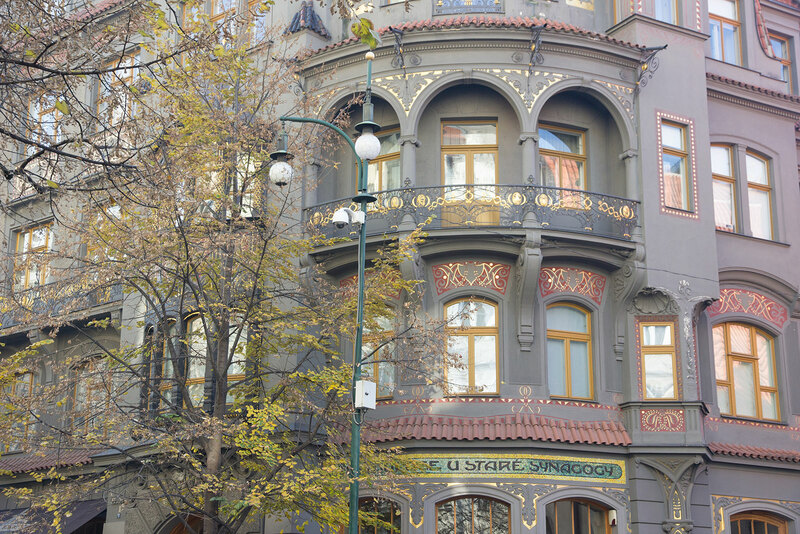 The city has centuries of architecture that are almost untouched by wars or natural disasters, meaning it’s pretty special. 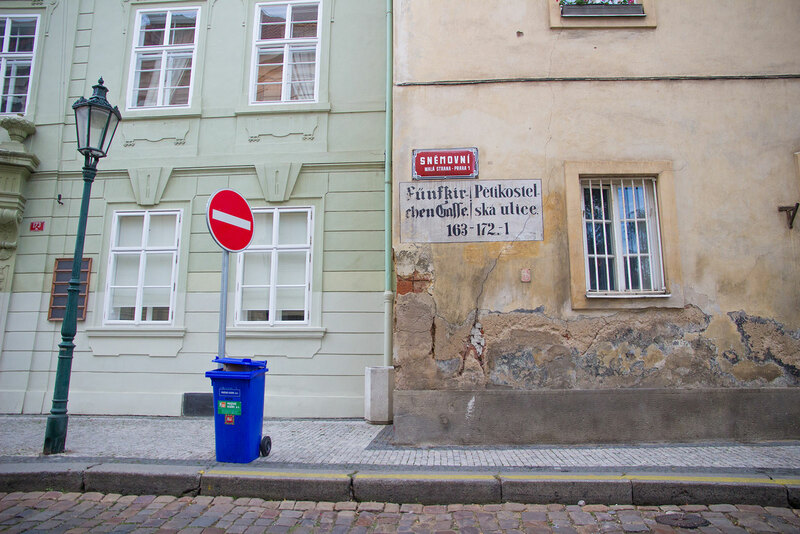 Despite the crowds, there’s still plenty of narrow lanes and hidden courtyards within Staré Město to be found. 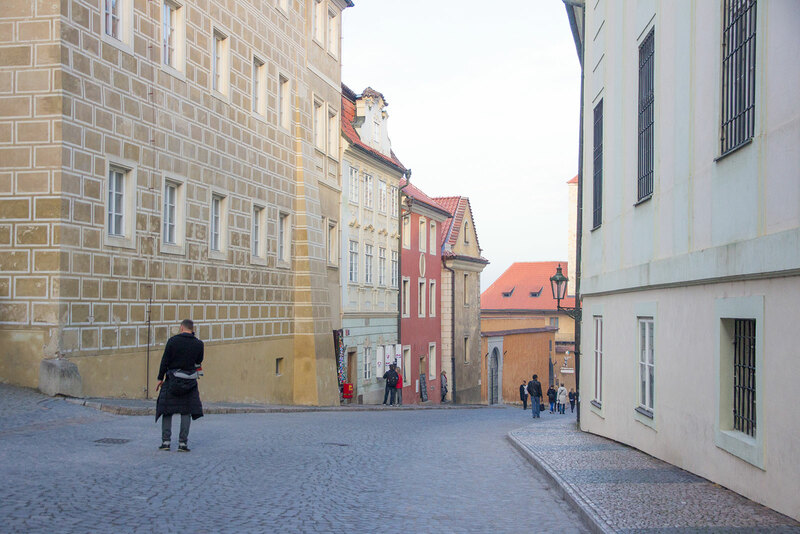 We loved just wandering the backstreets and alleys discovering hidden gems… little coffee shops and traditional pubs (Czech beer is so cheap!). Everywhere is so pretty and we spent most of our time just strolling the streets and being in awe at the colourful buildings. Josefov is the Jewish quarter to the north of Staré Město. 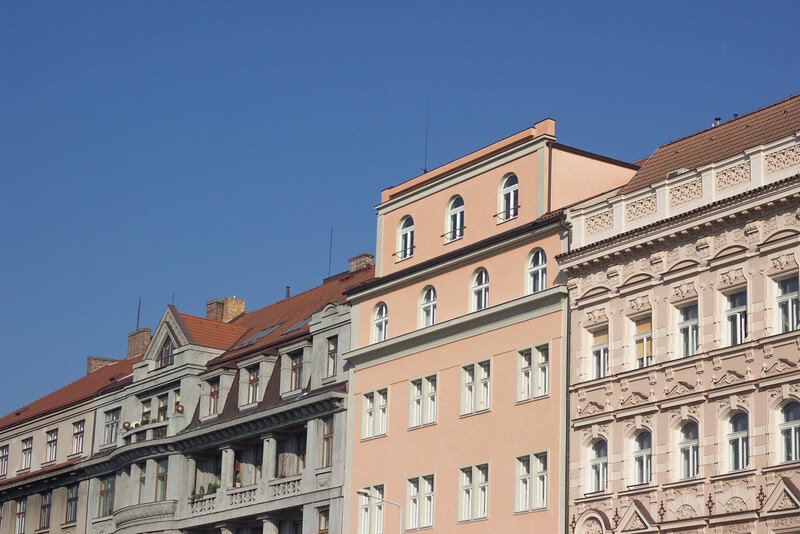 Also known as the Prague Jewish Ghetto I was a little apprehensive of what to expect but today it’s far from a ghetto with 5 storey art nouveau mansions and high end fashion boutiques on the tree-lined Parizska Avenue. There are 6 synagogues (including the intricately decorated Spanish Synagogue), the Jewish Ceremonial Hall and a medieval cemetery in this neighbourhood. If Jewish history is your thing, a ticket to Museum gets your entry into all the main sights for about CZK 300 (£8). I love a city with a river… I think it’s the openness and sense of freedom. 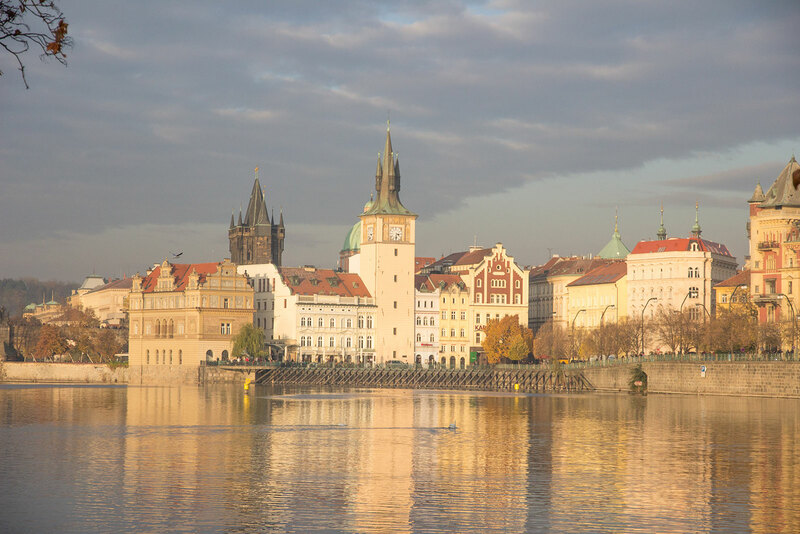 The Vltava is the longest river in the Czech Republic that runs straight through the centre — with Staré Město and Nové Město on one side, and Malá Strana and Prague Castle on the other bank (which is an beautiful sight from the water). The Charles Bridge (or Karlův most) was for 400 years the only bridge that connected the two sides of Prague, spaning 16 arches and lined with 30 Baroque statues of religious figures. Absolutely rammed with tourists, street musicians and selfie sticks it’s much more romantic to stroll down the bank and get a photo from afar… the scenery is fairytale magical. 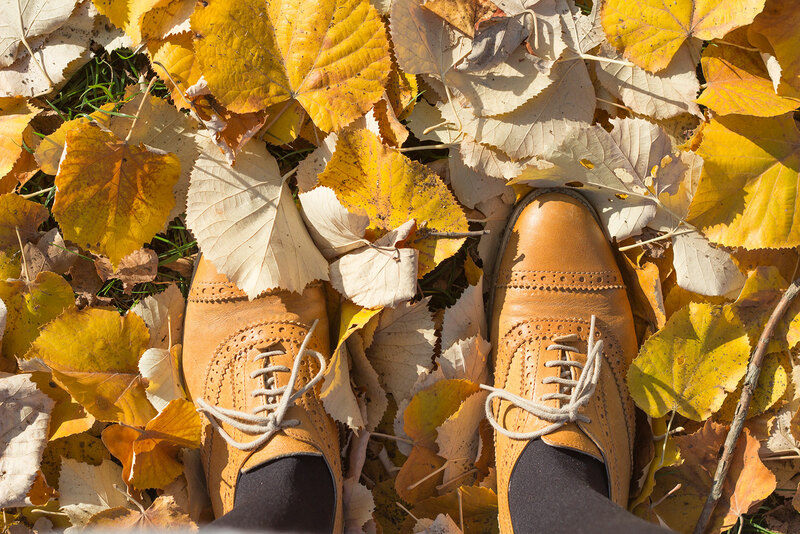 Constantly on the search for the Hackneys of other cities, we’re often found wandering off the beaten track in search for trendy, relaxed neighbourhood vibes – we like to blend with the locals. We braced ourselves for the stairs up to Letna Park (the views were worth it though) where apparently there’s a great beer garden over looking the river come summer months. We visited at the end of Autumn so it was very quiet bar the odd skateboarder or two. A lot of the park is filled with graffiti but I think that’s what gives areas like this their personality. I would recommend Petrin Park (later on in this post) if you only had one park to chose from on your travels though. 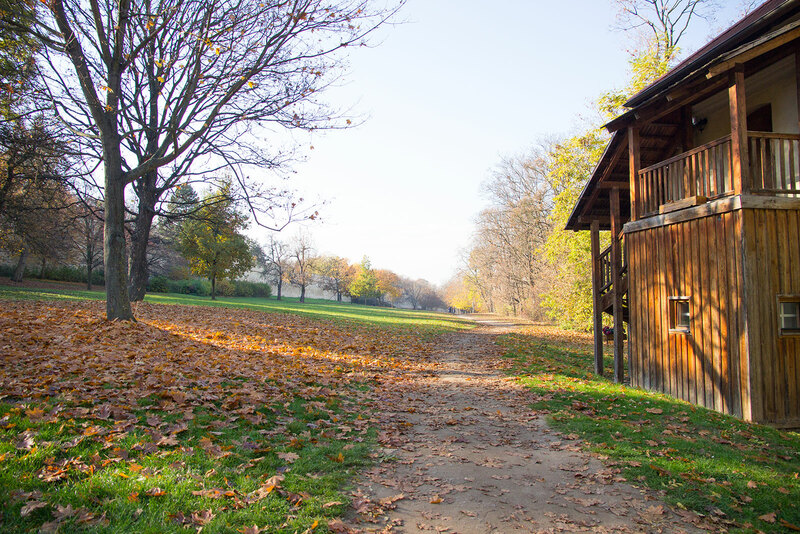 Walking through Letna Park we soon reached the Prague 7 district of Holesovice. 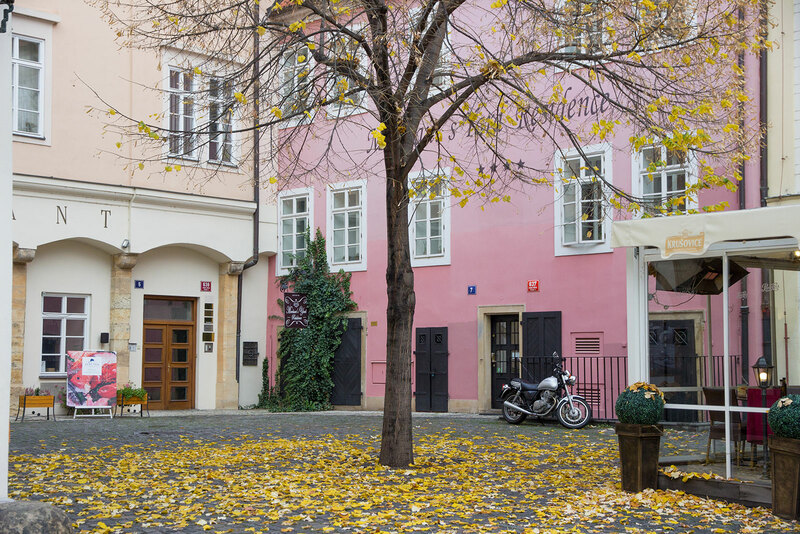 Conde Nast Traveller describes the area as Prague’s cool new neighbourhood, with it’s transformation from a meatpacking district to a trendy arty quarter. 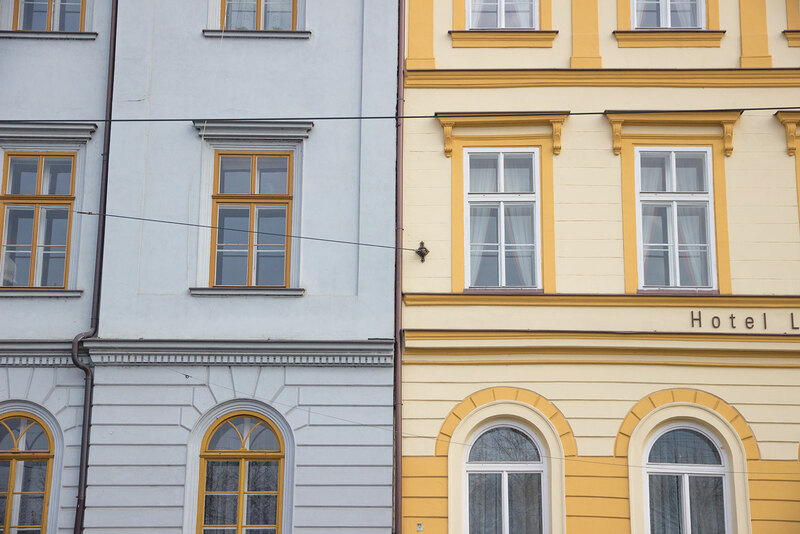 Unfortunately I don’t think 3 days in Prague was enough for us to explore this area properly… it’s full of hidden gems but not too handy if you don’t know where to look. 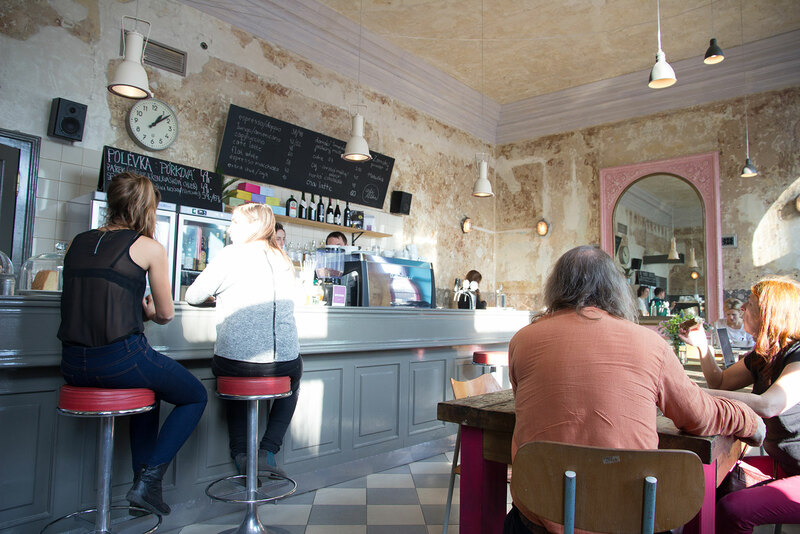 We stumbled across Cafe Letka though which was a well welcomed pit stop, bright and airy with good coffee and local beers. There’s lots of museums here too… an excuse to come back, anyway. 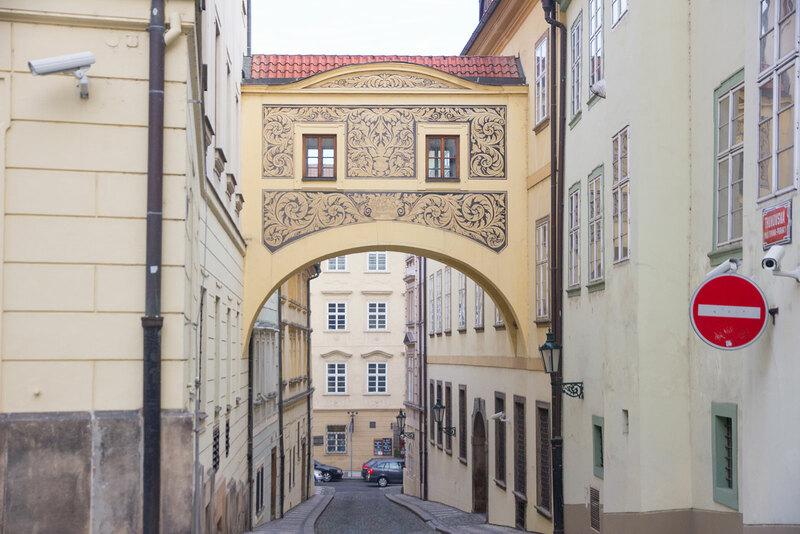 Malá Strana, Prague’s picturesque “Little Quarter” is filled with twisting cobbled lanes and secret gardens, as well as ornate government buildings, Baroque churches and places, and grand embassies. 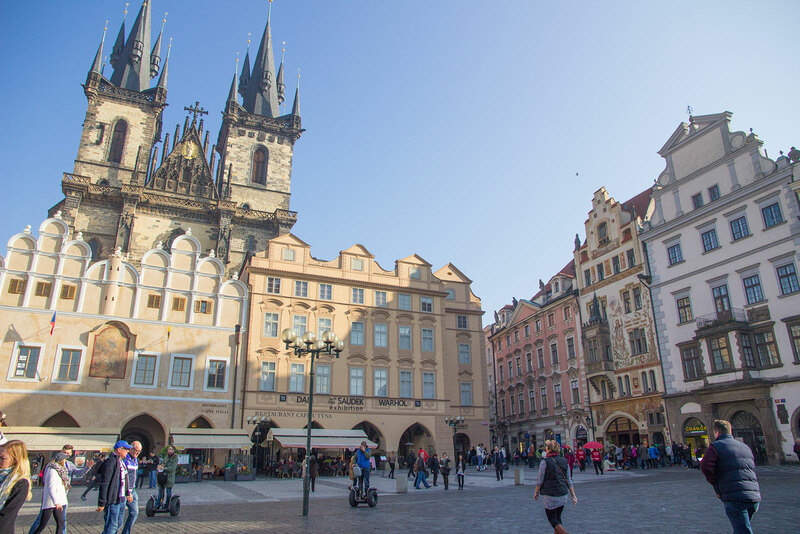 In many ways it’s the most charming district and I definitely recommend a visit to come of their traditional Czech pubs and restaurants (think hearty meaty foods). At night it’s lantern lit streets are enchanting and it really gives a sense of olden day Prague, I can see why it’s the setting for many films! I really loved it here. 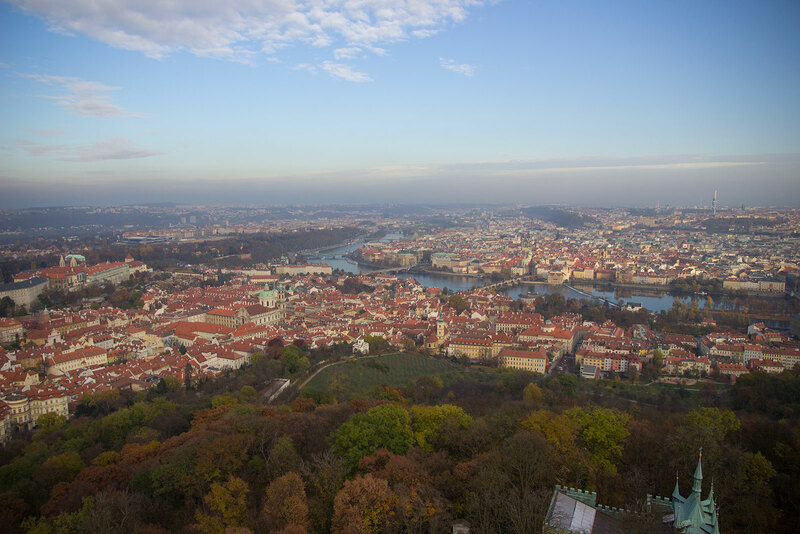 For our visit to the beautiful Prague Castle we jumped on the scenic tram #22 which tours the city and got off at the top / northern side of the castle —Královský letohrádek and strolled through the Belvedere / Royal Gardens. You’ll notice many a tourists get off at the bottom of the hill but it’s quite steep so we saved our little legs for a pleasant exploration through the grounds (18 acres of them) and walk back down. 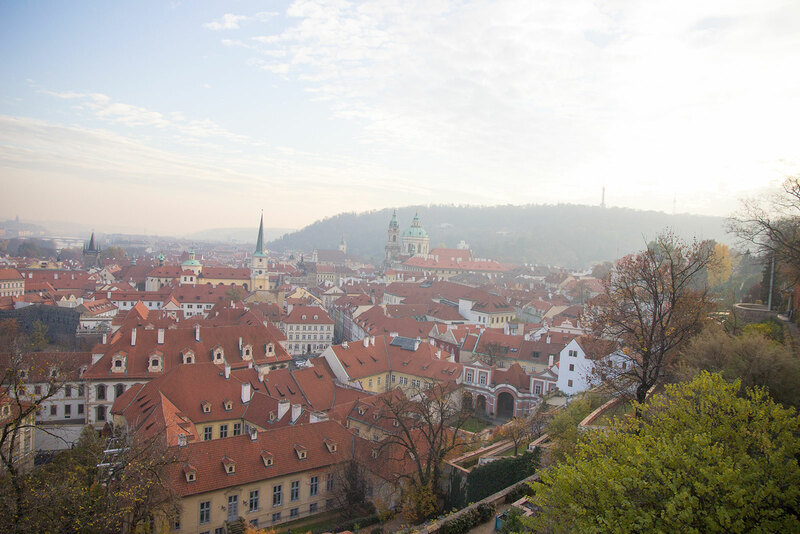 Visiting Prague at the end of Autumn was an absolute treat. It was warmer than average and we were lucky to have a few days of glorious sunshine too which gave the city such a dreamy glow. 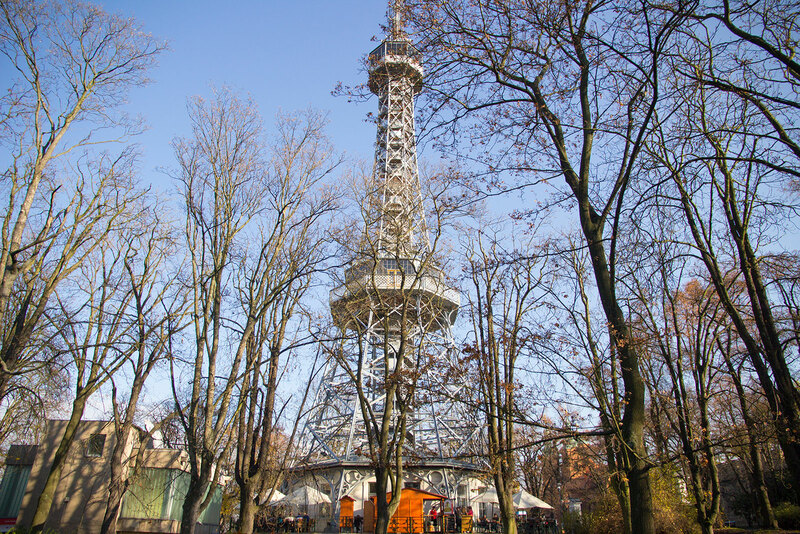 Petrin Hill is a beautiful park and home to the Petrin Observation Tower (Prague’s mini version of the Eiffel Tower). As the name suggests, it’s a hill… a steep one, and sods law the funicular railway that runs to the top was closed for reconstruction work! We took the tram #22 to Pohořelec, a small and quiet square in the castle district and walked through the woodlands to the tower which was a blissful, leafy escape. Entry to the tower is super cheap too, take the stairs and the views are even more rewarding. 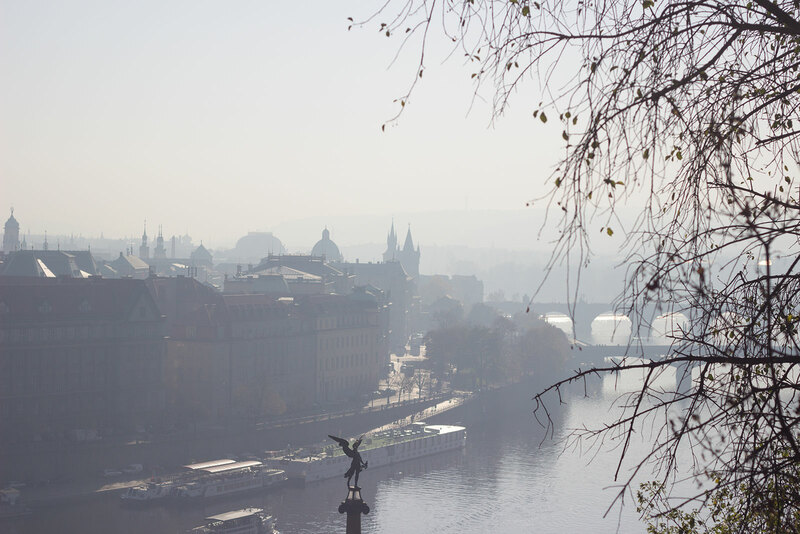 Tucked in on the Malá Strana of the river bank, under the Charles Bridge is the little island of Kampa — with it’s cafes and riverside park. They call it ‘Little Venice’ due to the small stream that runs through it that used to power the mills. We ate in the little square, it’s super super cute! …although Czech wine is pretty good too!